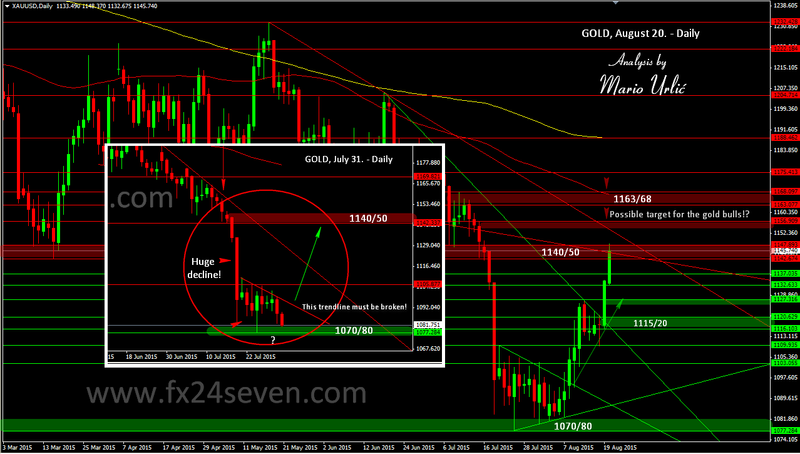 I am sure that you remember my gold analysis and prediction from July 31. Well, here we are today, 1140/50 is reached, but is looks like that the bulls would like higher levels, to take those short stops at 1160. After yesterday’s FOMC, it seams that gold looks shine again, let’s see for how long. Here are the resistance levels, 1150 > 1152 > 1156, huge stops at 1160 on my oppinon. Let’s see could they be reached, the bulls would like to take that today for sure!? Fantastic!